LANSING, Michigan, December 9, 2010 (ENS) – Michigan is reshaping its economy from reliance on automotive manufacturing based on fossil-fuels to greater reliance on clean energy manufacturing. Governor Jennifer Granholm Tuesday announced the first large-scale production of utility-scale wind turbines fully manufactured in Michigan made possible by a power purchase agreement between Consumers Energy and wind farm operator Heritage Sustainable Energy, based in Traverse City. Northern Power Systems will build the direct drive wind turbines in its Saginaw facility where it will employ up to 137 workers by 2014. Northern says a U.S. Energy Department grant will help the company commercialize its proprietary combination of permanent magnet generators and advanced direct-drive design, which eliminates the need for a high torque gearbox, simplifying turbine design and producing up to 15 percent higher efficiency. Granholm has used federal Recovery Act funds to help Michigan businesses diversify into high-growth, clean-energy industries through the Clean Energy Advanced Manufacturing program. Now Northern Power Systems plans to utilize Michigan supply chain companies strengthened by those funds. The finished turbines will be shipped to Heritage Sustainable Energy’s wind farm located in the Upper Peninsula’s Garden Peninsula where 80 direct and indirect jobs will be created to support the project development, installation, and operation phases. Heritage Sustainable Energy will then sell the power it generates to Consumers Energy. The Michigan Public Service Commission approved the Power Purchase Agreement for Consumers Energy Company and Heritage Garden Wind Farm on November 19 and on the same date approved another power purchase agreement between Consumers Energy and Heritage Sustainable Energy for another Michigan wind farm. Heritage Garden will be constructed in Delta County; Heritage Stoney Corners II will be constructed in Missaukee and Osceola counties. Granholm signed the renewable energy standard into law in October 2008 as a part of a comprehensive energy package. 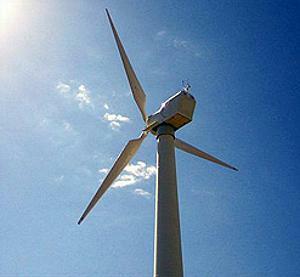 The standard calls for 10 percent of the state’s energy to come from renewable sources by 2015. “The Heritage Garden Wind Farm project exemplifies all of the intended goals of the state’s renewable energy standard – Michigan-based renewable energy generation supplied to Michigan utilities, investment in local economies via job creation, material purchases and an enhanced tax base; and investment in Michigan technology and manufacturing,” said Martin Lagina, president and chief executive officer of Heritage Sustainable Energy. The U.S. Department of Energy projects that Michigan will create more than 30,000 jobs in the wind manufacturing sector. Research by DELEG indicates the state could potentially generate 16,564 megawatts of wind power on land, and an additional 448,756 MW offshore in Lake Michigan and Lake Huron, where challenges such as tides, strong currents and saltwater, do not exist.